Editor’s Note: George Hamlin fills in for Don Phillips, who will return next month. From their inception prior to the U.S. Civil War until the late 1870s, railroads in this country were not generally subject to interference from the national government. For that matter, the federal government actively promoted and helped finance the construction of the first transcontinental railroad, completed in 1869. Unfortunately, as is often the case where there are few, if any, restraints on economic activity, behavior of the participants can become excessive and self-serving as opposed to being “in the public interest.” As railroads gained more economic power in the latter part of the 19th century, there were various kinds of excesses, including differential rates favoring one shipper over another, or charging more for short-haul versus long-haul shipments. Since railroads did not have serious competitors for the most part — Eisenhower hadn’t been born yet — much less able to launch the Interstate Highway system, and the Wright brothers had yet to fly), the various abuses eventually created political pushback, and the Interstate Commerce Commission was created by the Interstate Commerce Act of 1887 to remedy this situation. The theory behind this was the need to exert some control over a “public utility” which existed as a de facto monopoly in the medium- and long-distance transportation markets. This recognized both that railroads could remain as private enterprises and that they needed to be regulated, in particular to ensure that the pricing of their services was “fair and reasonable,” and justified on a cost basis. In 1906, the ICC’s mandate was increased by passage of the Hepburn Act, which allowed it to set maximum railroad rates. The Mann-Elkins Act in 1910 strengthened the ICC’s rate-making authority, and expanded the organization’s reach into other fields, including communications; this would change following the establishment of the Federal Communications Commission in the 1930s. Another facet of governmental intrusion into otherwise unfettered capitalism in the railroad industry was anti-trust. 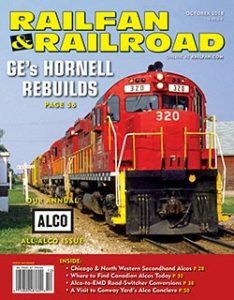 Railroads had been merging themselves into larger entities almost since the start of the industry, when railroad companies often were short, local entities (for example, the Wilmington & Weldon, an Atlantic Coast Line predecessor, was the longest railroad in the world at the time of its completion at almost 161.5 miles). By 1902, however, the scale of attempted consolidation had reached greater heights when James J. Hill, the “Empire Builder,” wanted to merge his Great Northern with Northern Pacific and Burlington lines (sound familiar, Burlington Northern fans?). Putting this into a competitive perspective, construction of the Milwaukee Road’s Pacific extension didn’t begin until 1906. 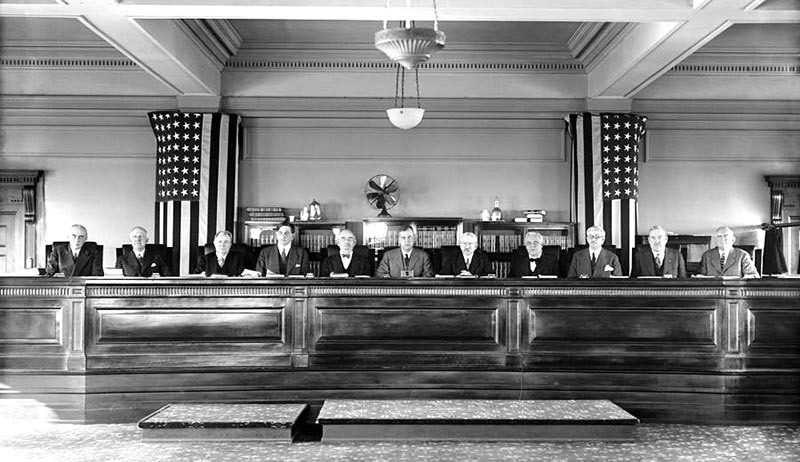 In one of the first cases under the Sherman Anti-Trust Act, the Northern Securities Company, which had been formed to control all three railroads, was sued by the federal government on anti-trust grounds. The government won and was upheld by the Supreme Court in 1904, in effect putting a damper on major railroad consolidation. A more radical innovation occurred in 1917. Following the entry of the U.S. into World War I in April 1917, the combination of significantly increased traffic, military mobilization, and congestion at East Coast ports resulted in shortages of cars and service disruptions. As a result, the ICC recommended that the federal government take over the railroads on December 17, and then-President Wilson signed an order nationalizing the carriers on December 26. One of the effects of this was to open up routes and capacity at critical locations, such as New York, to other railroads. For example, during the period of United States Railway Administration (USRA) control, Baltimore & Ohio was granted access to Pennsylvania Station in Manhattan for its passenger trains. President Wilson appointed Secretary of the Treasury William G. McAdoo to head up the USRA; McAdoo happened to be Wilson’s son-in-law. Following the end of the war in 1918, and its associated emergency conditions, the railroads were finally returned to private management in March 1920. As is often the case in young, growing industries, there was concern that there had been over-expansion in the railroad industry. As a result, via the Transportation Act of 1920, the ICC was directed to analyze the possibilities for consolidating the large number of railroad companies that existed by this time into fewer, larger entities on a regional basis (no, not any transcon carriers then, either). The result, published in 1929, was known as the “Ripley Plan,” after the Harvard professor (William G. Ripley) responsible for preparing this effort. The largest carriers generally didn’t get much in the process, although New York Central was to acquire Rutland and Virginian; Kansas City Southern would have gone to Union Pacific. On the other hand, Southern Pacific got nothing, and was probably envied by the Pennsylvania, which was to integrate the Long Island into its system. And in an eerie precursor of bankruptcy and failure, the New Haven was to be combined with New York, Ontario & Western; Lehigh & Hudson River; and Lehigh & New England. In any case, as a result of the onset of the Great Depression, none of this came to pass. The Interstate Commerce Commission was established in 1877 to regulate railroads. The commissioners were presidential appointees confirmed by the U.S. Senate. The agency was abolished in 1995 with its functioned assumed by the Surface Transportation Board. In addition, there also came to be recognition that at least in portions of the country, especially in the Northeast and parts of the Midwest, there was excess railroad capacity. For example, at one time, multiple railroads had significant anthracite traffic from northeastern Pennsylvania to the large cities in the Northeast; by the 1950s, this had declined considerably, and by 1970, the traffic had essentially disappeared. The New York, Ontario & Western, probably the weakest of the participants, failed and quit operating in 1957, the first major railroad to abandon and shut down its entire operation completely. Meanwhile, merger activity began anew. Louisville & Nashville merged the Nashville, Chattanooga & St. Louis in 1957, followed by Norfolk & Western’s acquisition of the more-or-less parallel Virginian in 1959. Five years later, N&W expanded well outside its historic operating territory by adding Nickel Plate and Wabash. The Erie and the Lackawanna combined the best parts of each and shed excess facilities to form Erie Lackawanna in 1960. In 1968, of course, the ill-fated Penn Central merger was consummated, stuffing the New Haven into the mix a year later. By 1970, what was deemed to be anti-trust in the early 1900s was now recognized as an important component of railroad survival, when Burlington Northern was formed in March. Three months later, colossus PC filed for bankruptcy, nearly bringing down the American economy with it. As a result, the United States Railway Association was formed in 1974 to rationalize the Northeastern railroad system in the wake of the bankruptcies of Penn Central and other railroads. The fear was that if rationalization did not take place, and promptly, much of even the viable portions of rail service in the northeast would be at risk. In effect, the USRA, which ended up recommending the formation of Conrail, was installed to provide the “cover” to abandon large portions of routes that were no longer economically viable, and to fold most of the remaining railroads in the area into a single entity. It would be an interesting intellectual question whether this could have been accomplished at all via traditional ICC proceedings, or even if it could, how long that might have taken. Following the creation of Conrail in 1976, in a further acknowledgment of the fact that U.S. railroads were no longer de facto monopolies in the U.S. transportation market, the Staggers Act was passed and became law in 1980. This effectively deregulated the U.S. railroad industry, and enabled it to reverse its previously declining share of the U.S. surface transportation industry. Finally, since most of the reasons for the ICC’s existence had disappeared, Congress passed the ICC Termination Act in 1995 abolishing the agency a little over 100 years after its inception. To the extent that there is still a need for regulatory oversight of some railroad activities, including mergers, the Surface Transportation Board was formed in 1996. So, in the course of a little over a hundred years, we’ve gone from the advent of significant regulation of railroad economic and operating activities through outright government ownership, to a largely deregulated and economically robust railroad system (at least on the freight side). Will we see regulation return again? It will be interesting to see what the next 100 years bring!